On Monday, October 22, luminaries from the art, fashion and philanthropy world gathered to celebrate the Americans for the Arts – the leading organization for advancing the arts and arts education in America, who presented the 58th annual National Arts Awards at Cipriani 42nd Street in New York City as part of National Arts and Humanities Month. 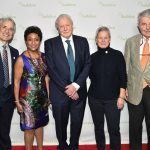 The awards recognize individuals and organizations who exhibit exemplary national leadership in the arts and whose work demonstrates extraordinary achievement. 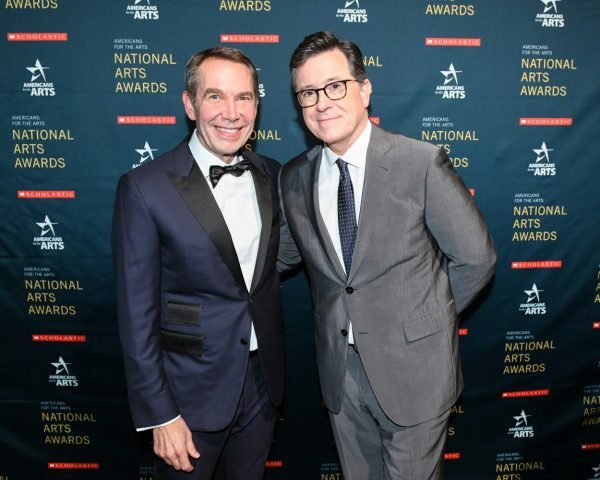 All proceeds help support American for the Arts’ core programs and activities, which serve the needs of more than 150,000 members and stakeholders across the country each year. This year, the event raised $1,000,000. 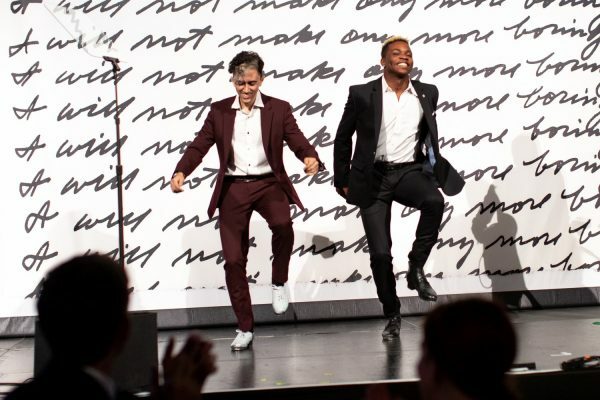 The 2018 honorees included music pioneer Mavis Staples, artist and activist Ai Weiwei, choreographer and dancer Justin Peck, philanthropist Ann Ziff, and nonprofit organization Alliance for Young Artists & Writers, the largest scholarship and recognition program for creative teenagers. 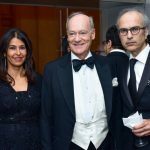 The evening began with an elegant cocktail reception, featuring large-scale works by conceptual artist John Baldessari suspended from the ceiling at Cipriani 42nd St, followed by dinner and the award ceremony. 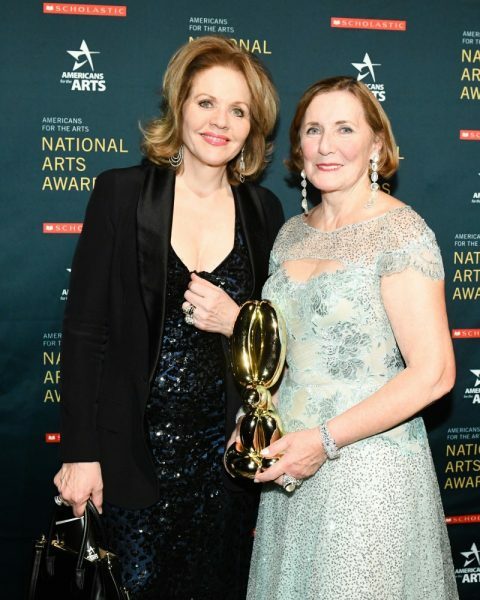 Fashion designer Zac Posen presented the Arts Education Award to Alliance for Young Artists & Writers’ Executive Director Virginia McEnerney, followed by writer and comedian Stephen Colbert, who presented the Carolyn Clark Powers Lifetime Achievement Award to Mavis Staples. Congressman John Lewis, the U.S. Representative for Georgia’s 5th Congressional District, made a heartfelt appearance in the tribute video to singer, saying “Her music brought us together; it lifted us. If it wasn’t for the music, the Civil Rights movement would have been like a bird without wings”. 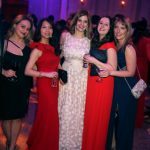 World-renowned soprano Renée Fleming presented the Philanthropy in the Arts Award to Ann Ziff, and Justin Peck accepted the Ted Arison Young Artist Award presented by New York City Ballet’s Tiler Peck. 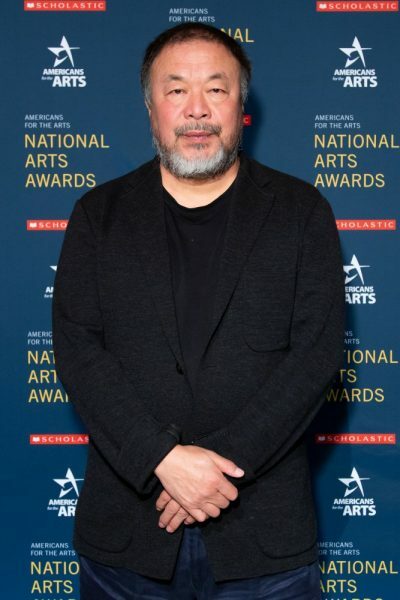 To conclude the evening, Alexandra Munroe, Senior Curator and Advisor at the Solomon R. Guggenheim Museum and Foundation, presented the Marina Kellen French Outstanding Contributions to the Arts Award to the legendary artist and activist Ai Weiwei. 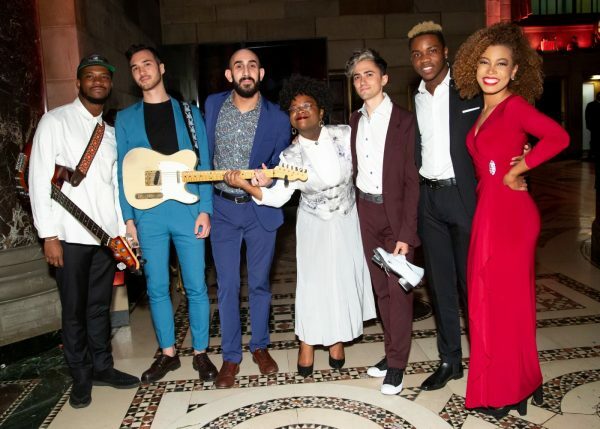 During the dinner, guests enjoyed a special musical performance by alumni of the National YoungArts Foundation, with musical direction by Jake Goldbas, including a tribute by India Carney of The Voice highlighting iconic hits from Mavis Staples’ 70-year career. Also featured was an homage to Justin Peck, choreographed by Caleb Teicher. 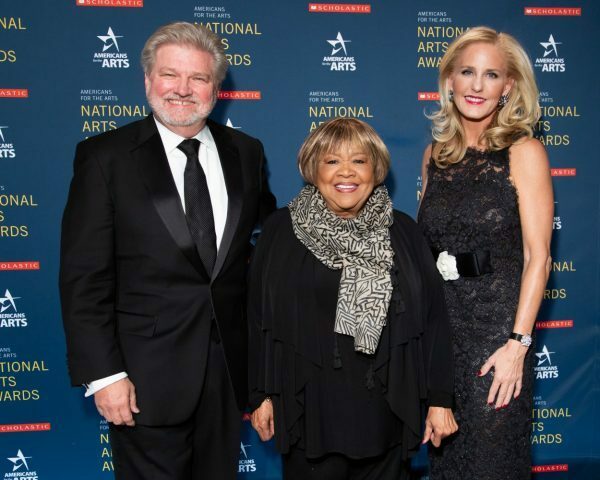 HOSTS: Americans for the Arts CEO Robert L. Lynch and event Chair Carolyn Clark Powers. CO-CHAIRS: Sarah Arison, Susan Goode, Marina Kellen French, Jeff and Justine Koons, Nora C. Orphanides, and Richard Robinson of Scholastics, Inc.
BOARD MEMBERS: Alessandra DiGiusto, Floyd W. Green, John Haworth, Glen S. Howard, Bill Lehr, Timothy McClimon, Julie Muraco, and Nancy Stephens. ARTISTS: Jane Alexander (Actor), Michael Avedon (Photographer), Tim Booth (Musician), Carla Canales (Musician), Adrian Danchig-Waring (Dancer), Patricia Delgado (Dancer), Sidney Felsen (Photographer), Ben Folds (Musician), Jon Kessler (Visual Artist), Yvonne Marceau (Dancer), Sarah Morris (Visual Artist), Walter Mosley (Writer), Walter Robinson (Visual Artist), Kate Shepherd (Visual Artist), Nadia Sirota (Musician), and Leo and Yvonne Force Villareal (Visual Artist). ART WORLD: Roland J. Augustine (Gallerist), Kerry Brougher (Academy of Museum of Motion Pictures), Mary Anne Carter (National Endowment for the Arts), Melissa Chiu (Hirshhorn Museum), Jacques d’Amboise (National Dance Institute), Casey Fremont (Art Fund Production), Peter Gelb (Metropolitan Opera), Angela Goding (MoMA PS1), Larry Warsh (Collector), and Heidi Zuckerman (Aspen Art Museum). BUSINESS: James Orphanides (ITI Technologies), Christine Ferer (Vidicom), and Daniel and Fiona Paltridge (Bulgari). SOCIAL: Tina Lutz, and Terry Zucker. 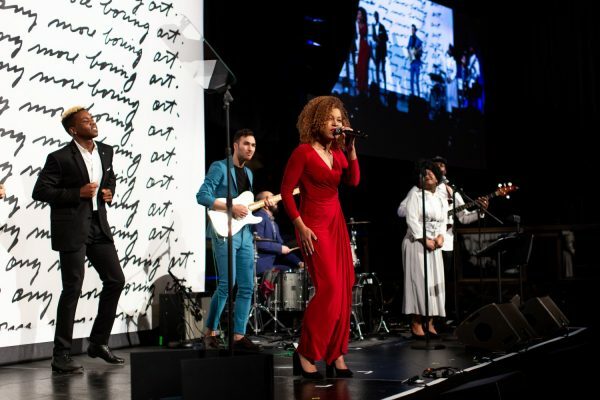 PERFORMERS: India Carney, Jake Goldbas, Jabu Graybeal, Vanisha Gould, Gabe Schnider, Elliot Skinner, and Caleb Teicher.